Escape the bustle of the city for a day exploring the greater reaches of Adelaide’s natural wonderland. We stop in historic Strathalbyn for coffee and chat over the day’s adventures, also spending some time exploring the antiques and stores along High Street. Then we meander our way through the back roads over the Finniss River looking out for the trees where the Aboriginal's cut their Canoes then assending to the lookout on Flagstaff Hill Road with a view over the township of Goolwa, lakes and the Southern Ocean. 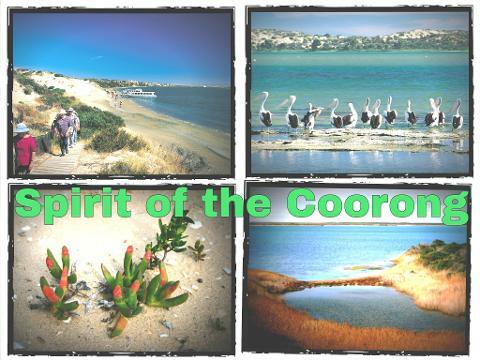 At 10:30 am, you’ll board the Spirit of the Coorong at Goolwa Wharf. Kick back on deck as you cruise to the Goolwa Barrage, Coorong National Park and the mouth of the Mighty Murray River. You’ll need your camera on hand for the abundance of amazing bird and marine life to be spotted in their natural habitat. Your Captain will provide an informative commentary as you sail the crystal waters. See the region where both Storm Boy films were made, cruise past the 2 boats used as stage props for the original and latest movies. 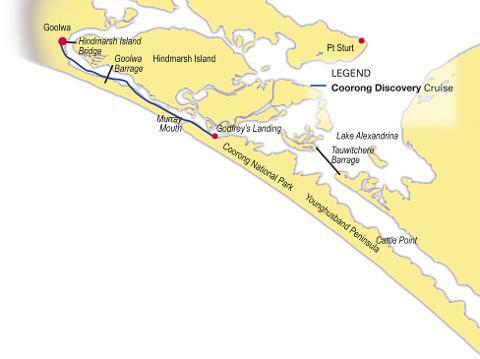 At the Murray Mouth go ashore for a walk (subject to water levels and weather conditions) before rejoining the boat for the cruise back through the lock to the Goolwa wharf. Relax in your comfortable shuttle as you’re escorted through the beautiful Fleurieu Peninsula. Visit Victor Harbor, The Bluff, Granite Island and Port Elliot – where the picturesque landscapes meet the glistening ocean.